Ometepe, an island rising out of Lake Nicaragua, is home to one of the largest remaining populations of the yellow-naped parrot. These beautiful birds play an important role in their ecosystem as seed dispersers, meaning they are crucial to the health of the tropical forests in which they live. Worryingly, the Ometepe population is under pressure from habitat degradation and the loss of forest for agriculture, and there is also a growing threat from the illegal pet trade, with chicks being taken from their nests. As a result, this charismatic parrot faces an uncertain future. 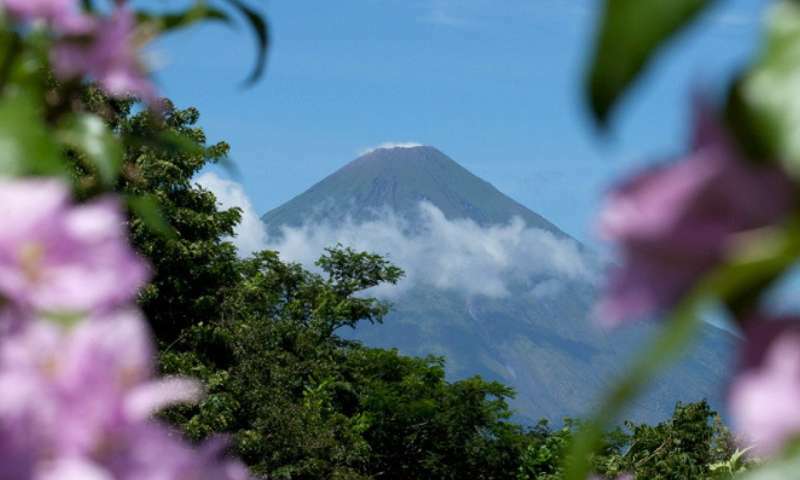 To protect this endangered species, Fauna & Flora International (FFI) is working with ornithologists on the island, who have set up a community group, Loreros Observando y Conservando Ometepe, to monitor its population, nesting behaviour and better understand its ecology. Recent surveys indicate that Ometepe is supporting up to 1,000 individuals, and four priority roosting and nesting areas have been identified. 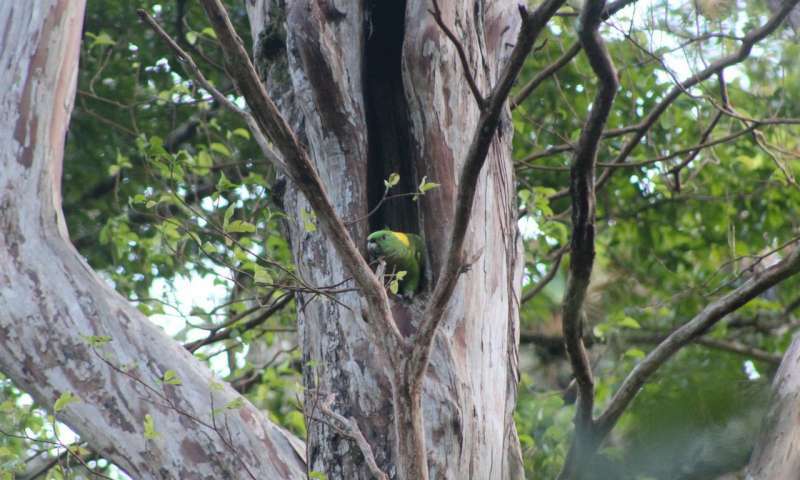 The surveys also revealed new information about the nesting habitats of this island population, indicating that in the area between the island's two volcanoes, parrots are breeding much earlier than anywhere else in their range. This is very unusual behaviour and could be due to the unique characteristics of the forest. As well as gathering vital information, the project team is protecting nests through community patrols and incentives. Once active nests have been identified and mapped, community-led patrols are put in place to combat poaching and help secure the parrot population. Meanwhile, environmental education and community engagement work is helping to raise awareness on Ometepe about these birds and their plight. Angelica Valdivia, FFI's Programme Manager on Ometepe, says: "The team completed monitoring of the nesting season throughout November, December and January, identifying a total of 26 nests. They also discovered some remarkable results about the parrot's unique behaviour on the island. This monitoring demonstrated that there are very clear pressures on the parrots from the pet trade with as many as 40% of nests affected in some areas. 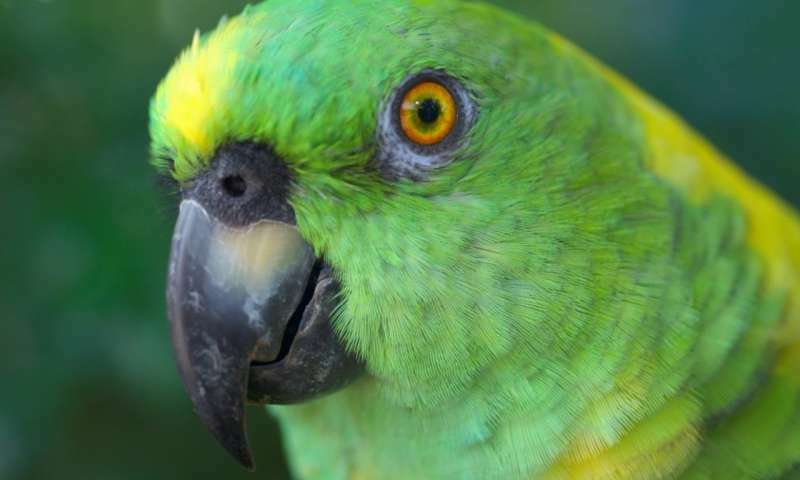 FFI believes that the conservation of the species depends on increased environmental awareness among residents and the application of laws to those who are taking part in the illegal trade of parrots."